Mr. Amjad Ali Shah is working as Director Operations at TDEA. 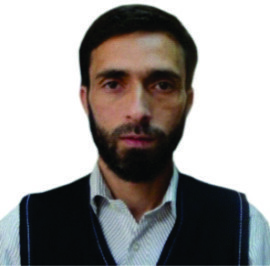 He has earned a Master degree in Business Administration (MBA) – Finance and attended various trainings including USAID’s trainings on “Financial Management, Procurement and Administrations Management” and “Do No Harm” training organized by Care International Islamabad. Mr. Shah is a development professional with 19 years of experience in various fields mainly focusing on financial administration, procurement and human resources management. He has acquired his experience with dedication and self-motivation. Besides it, Mr. Shah is an excellent team builder and mentor, with strong communication and negotiation skills. He is performing the core management function of the Trust. He makes decisions along with the management to ensure the Trust is meeting its objectives in line with the directions of the Board of Trustees. He directs operations unit of the Trust.